One doesn't often think about it, I suppose, but the voice actors that worked on Jonny Quest were a hugely talented bunch, as witnessed by their many other projects. Also, next time you're watching an episode, listen a bit more carefully. You'll often as not be able to hear Don Messick and Mike Road in multiple roles voicing some of the secondary characters, in addition to their major roles as Dr. Quest and Race. They, and the other actors listed below, were an amazing group of people! Many thanks to Jeff Adcock who compiled the original set of information on "who played whom" in the series, and got this whole party started. Thanks to Paul Buhler for sending in more corrections and new info, including quite a few of the actor pictures! Amazing Heroes (#95 - Jonny Quest issue). interview with Doug Wildey. Hanna-Barbera's Pic-A-Nic Basket of Cartoon Classics (4-vol. CD set). Hanna-Barbera Productions, Inc., 1996. liner notes. Tim Matthieson (later known as Tim Matheson) has had a very successful career playing numerous parts on TV and in feature films. Click here to see the list of credits shown at the Internet Movie Database. Here's a clip of Tim as a young man in the 1967 movie, "Divorce, American Style." The character of Roy Martin was a con man trying to convince Carol Brady that he was her long-presumed-dead 1st husband, when in fact the real Roy Martin, a professor, was actually lost at sea along with others aboard a pleasure craft named the "SS Minnow". It was a nice try, but unfortunately the makers of this movie did not recall (or chose to ignore in the hope that we, the viewers would not recall) the fact that the professor's name as given in the first episode of Gilligan's Island was Roy Hinkley, not Martin. It still was a funny bit, though. After these episodes, it was decided that John's voice too-closely resembled that of Mike Road, who voiced Race Bannon's character. John did return in "The Invisible Monster", providing the voice of Dr. Norman, the scientist who unintentionally unleashed the energy monster, and paid the ultimate price for doing so. Stephenson's other projects were many; click here to see the list of credits shown at the Internet Movie Database. Paul Buhler sent in the following link to additional information: John Stephenson info at www.voicechasers.com. DW: I have always gone with actors that were instantly recognizable and still were not all that deep -- that seem to be guys having fun. My favorite was [Clark] Gable, who always seemed to be playing a part. He wasn't really a believable guy in that sense, yet Gable playing something became believable only because you knew you were watching Gable. He had an almost sardonic, throwaway approach to his lines. That's what I wanted for Race Bannon: bigger-than-life dialogue. I listened to a lot of different guys. All of them were good; finally Mike Road seemed to be the guy that somehow had that approach -- that light touch and still made it believable. AH: Seems to me that I remember as a child that Race's voice seemed to pop up in a lot of other cartoons at the time. DW: As a matter of fact, he also popped up in Jonny Quest, as other voices. Mike Road has a TON of additional credits, in addition to Jonny Quest. Click here to see the complete list of Mike's credits shown at the Internet Movie Database. d. Danny Bravo has a few other cinematic credits: click here to see the list of credits shown at the Internet Movie Database. The image seen here is a poster for a movie "For the Love of Mike") in which young Danny featured prominently. Here's a clip of Danny in the movie "For Pete's Sake" (1966). d. 24 October 1997 Don Messick was a former ventriloquist before becoming one of the industry's most sought-after voice actors. In addition to voicing Bandit, he took over the role of Dr. Quest after the departure of John Stephenson, and also supplied a number of other supporting character voices for the series as well. "It gave me an opportunity to do a straight character for a change. I took over the role when they decided there was a vocal conflict between the actors playing Dr. Quest and Race Bannon. Until then I was only doing the yipping and yapping of little Bandit." Messick's credits outside of Jonny Quest show the legendary talent he was; click here to see the list of credits shown at the Internet Movie Database. Click here to see the list of other credits shown at the Internet Movie Database. Click here to see the list of other credits shown at the Internet Movie Database. 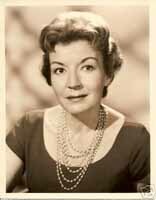 In addition to the TV show "My Friend Irma" she also supplied the voice of Jane on the radio program of the same name from 1947-1954 (reported by Scott). Here's a list of other credits shown at the Internet Movie Database. Everett Sloane was a formidable character actor despite his dimunitive size, who started acting on stage and in radio after losing his job as a Wall Street runner in the Crash of 1929, and played key roles in many films. Click here to see the list of other credits shown at the Internet Movie Database. Click here to see the list of other credits shown at the Internet Movie Database. NOTE: At a recent check, this name was not found in the IMDb database. Another legendary voice talent, perhaps most famous for supplying the voice of "Cecil the Seasick Sea Serpent" on the "Time for Beany" TV show. Most famous as "the Maytag repair man" from TV commercials. Click here to see the list of other credits shown at the Internet Movie Database. Famous Asian character actor; click here to see the list of other credits shown at the Internet Movie Database. Famous character actor; click here to see the list of other credits shown at the Internet Movie Database. Perhaps most famous as the voice of Judy Jetson in "The Jetsons"; click here to see the list of other credits shown at the Internet Movie Database. The Sam Edwards on IMDb you're looking for is listed as "Sam Edwards (I)". 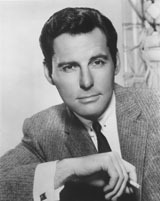 He was a longtime radio actor, working as part of the dramatic repertory company used by CBS on programs like Escape and Gunsmoke (where he was usually cast as either young hotheads or generally decent young fellows who kill someone by accident or shot someone in the past and seek rdemption.) 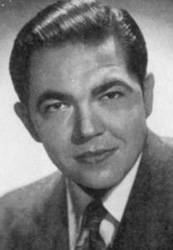 The information I've gleaned from various radio reference books suggest that Edwards was born in Georgia, but soon moved to San Antonio, thus developing a slight Western twang. One source gave his birthdate as 1928, but since he also, according to Graham Webb, was heard in two George Pal Puppetoon cartoons in 1942, this seems a tad unlikely, and his earliest radio work came around 1943 (mostly juvenile roles admittedly), this is probably off by at least two-four years. Other notable radio roles included playing Dexter Franklin on the comedy Meet Corliss Archer opposite Janet Waldo [see above entry on Janet Waldo, ed.] 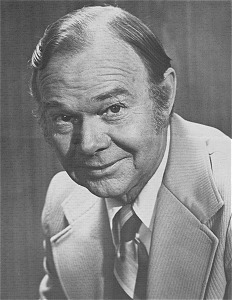 as Corliss, supporting roles on Dragnet, playing a young Samuel Clemens in one installment of The CBS Radio Workshop, Corporal Spears on a few episodes of the Western Fort Laramie, and a score of others. He also, according to various sources and some interviews, was heard briefly as the adolescent Thumper in Bambi, and also did voices for Disneyland records in the late 60's and 70's. For Hanna-Barbera, he also did bits on The Flintstones (one episode) and These Are The Days and was also heard for Ruby-Spears on The Plastic Man Comedy/Adventure Show. As IMDB mentions, he also made several appearances on The Andy Griffith Show.